The monthly mortgage payment can be one of the most significant household expenditures for a family. However, while it can be a sizable amount, there are certain household things you may be able to eliminate that will help you put down more money and pay your mortgage off a little faster. If you’re interested in ways to save, here are some expenses you may want to consider cutting out. Television is an important de-stressor for many people, but it can also be a considerable monthly expense that is often unnecessary. With borrowing materials available at the library and many videos available for streaming online, you can cut your cable cost and may be able to save more than $100 a month. It may not be a household expense, but the average person can rack up a lot of expenditures each month on caffeine alone. Instead of stopping at the local cafe for a quick fix, consider trying the office coffee or taking a thermos in the morning for savings that will add up by the week’s end. Going for dinner or getting take-out on the way home can be a great way to finish off a day, but it can also add up to huge monthly expenditures if you’re doing it frequently. While you shouldn’t cut out trying new restaurants altogether, ensure that it’s not something you’re indulging in all the time. You’ll be able to save a lot of money easily if you’re not buying lunches or dinners, but bargain shopping is still important when it comes to household staples. While this may not make a difference on each bill, it can add up to a considerable dent in your monthly payment overtime. Nowadays, most people have a smart phone and have exhausted their need for a landline, but phones can still be quite a money drain when it comes to extra data and an expensive plan. Instead of accepting your bill as is, talk to your provider about deals they can provide so you can save the difference. The monthly mortgage payment can be a financial burden, but there are many simply ways to save through the year that will add up to big savings and a faster pay-off date. If you’re planning on putting your home on the market, you contact your trusted mortgage professional for more information. Whether you’re embarking on the process of obtaining a mortgage for the first time or just preparing yourself for the advances in the industry, the implementation of automated underwriting in recent years has significantly changed the application process. From the time you’ll have to wait to the documentation that is required, here are some of the details on what you can expect when dealing with an automated underwriter. In the past, most homebuyers submitting mortgage application documents were required to go into their backlogs to provide the paystubs for the previous 2 months pay, as well as W2’s for the last 2 years. Now, with automation, most homebuyers will only need to submit their most recent paystub in order to move along to the approval process. Since the loan approval process previously had to go through an underwriter, there was a delay between when the documents could be reviewed and approved, and how long it would take for this information to be passed on to the homebuyer. However, since a Findings Report is automatically created from the applicable data during the automated process, the timeline homebuyers have to wait is shortened considerably. Previously, approvals that were completed by an underwriter were held to a standard that was made up of a person’s financial health and credit report, so having one and not the other could lead to a declined application. Due to the fact that automated approval is based on the degree of the deciding factors, homebuyers who previously may have been turned away have a greater chance of approval. While most homebuyers have identified their ideal home before getting too involved in the application process, automated underwriting actually enables those who want to apply to get approval prior to deciding on a home. Instead of being an expenditure of time, this can actually be a good bargaining chip when it comes to putting in an offer on the right home. With the advances in technology and the ever-shifting real estate market, there are many changes on the mortgage market that are important for future homebuyers to be aware of. Fortunately, there are many advantages to the automation of underwriting that can offer great benefits to those going through the application process. If you’re applying for a mortgage soon, you may want to contact one of our mortgage professionals for more information. According to the S&P Case-Shiller 20-City Home Price Index, home price growth in May dropped to a seasonally adjusted annual rate of 5.20 percent as compared to April’s reading of 5.40 percent. Analysts said that low mortgage rates continue to support housing markets, but also noted that affordability due to rising home prices is sidelining some would-be buyers. High demand for homes coupled with slim supplies of available homes have driven prices up for months; analysts said that “tentative signs” of slower gains in home prices were seen. David M. Blitzer, Chairman of S&P Dow Jones Indices, cited high home prices and sales of previously-owned homes as contributing factors to a healthy housing sector. Slower home price growth in high priced metro areas may indicate that home prices are topping out in cities including Los Angeles, San Francisco and Seattle. With home prices out of reach in high demand metros, it’s likely that rampant home price growth seen in recent years will have to slow in spite of pronounced shortages of homes and high demand in many areas. Building more homes is the only way to combat outsized competition for homes and astronomical home prices. According to the Commerce Department, June sales of new homes jumped to 592,000 as compared to an expected reading of 562,000 and May’s reading of 572,000 new homes sold on a seasonally adjusted annual basis. June sales of new homes were at their highest level since February 2008. The national average price for a new home rose to $306,700 in June, while the supply of available homes sank to 4.90 percent. Real estate pros typically consider a six-month supply of available homes a typical reading. 574,000 new homes were sold in the second quarter of 2016, which was 10 percent higher than the reading of 524,000 new homes sold in the first quarter of 2016. A report on rental vacancies is due out on Thursday. Rapidly rising rents have recently contributed to higher numbers of first-time buyers looking to buy homes and could continue to strengthen demand for available homes. Living big isn’t necessarily living better. Apartment buildings, townhouses and multiplexes have become the new normal for increasing numbers of individuals, couples and families. It’s clear that for many people, smaller spaces are smarter, too. This attitude is more than just a trend. According to TIME Magazine, multi-family dwellings like condominiums accounted for 40% of new construction in the United States in 2014 and the movement shows few signs of slowing down. The change isn’t surprising when considering the benefits to moving, especially when it comes to sheer cost-savings. Whether residents are spending less cash or conserving their valuable time and resources, they’re going to see a difference in their bank accounts. Here are three money-smart reasons to downsize that can lead to big savings. 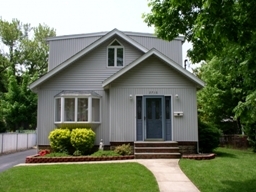 Maintaining a single-family dwelling can be difficult. Clearing gutters, painting walls, weeding the garden and other unpleasant tasks have serious costs, as residents are forced to invest their valuable time and resources into these recurring chores. Switching to a smaller space means less maintenance, which can lead to serious savings. Multi-family dwellings typically have a building manager who is responsible for upkeep, leading to serious savings. Utilities are much less costly after downsizing. The less square footage a home has, the less electricity, water and other utilities it will require. Residents have the potential to save hundreds of dollars in costs. There’s also an added benefit if there are shared utilities divided between other residents of multi-family dwellings. Splitting subscriptions or services like Internet and cable can lead to much lower prices. Moving to smaller spaces makes these invoices less expensive, which gives residents a bonus every month. Apartment buildings, condominiums and other compact dwellings are often located in central areas close to useful services and businesses. This convenience is a major cost-cutting reason that encourages many people to move. The Nielsen Company actually found that 62% of millennials would choose to live in communities that combine residential homes and businesses. By being closer to things they value, residents save themselves time, a valued commodity. These three money-smart reasons are major factors into why people move into smaller spaces. It’s hard to resist saved time and resources, reduced maintenance, lower utility bills and increased convenience. Learn more about potential savings from your local mortgage professional today. Everyone wants a place to call home, but that doesn’t guarantee that homeowners will have an easy time selling their properties. Making sales depend on more than just curb appeal or the popularity of open houses. Complicated factors like the economy, interest rates and regional regulations all drive the real estate market. It can make an incredible impact on the speed and ease of real estate transactions. But not knowing the state of the market can be more than just a hassle. When real estate favors buyers, not adjusting the sales strategy can be a seriously costly mistake. Worse than that, it risks homeowners not being able to sell the properties at all. Here are some stress-free tips will help sell homes in a buyer’s market, fast. One of the most cost-effective ways homeowners can complete real estate transactions is to pretty up their properties. The trick is to think big. If it’s clean and the backyard is tidy, all that’s left for home owners to do is to create a decorating theme that looks good. Sometimes all that’s needed is some decluttering and decorating to be desirable. Working on attractiveness brings buyers to open houses and make them actually want to live there. This initial urge can turn interest into offers. It may be painful to accept, but cutting down the potential profit for a sale can be the difference between a quick transaction and one that lags behind. Homeowners have to price their homes at a reasonable rate compared to similar properties. It’s crucial for homeowners to remember that their home isn’t the only property available on the market. Unless it’s priced competitively, it’s going to be much harder to sell in market where buyers have the advantage. While homeowners need to keep the look and price of their properties top of mind, they shouldn’t forget how powerful details can be. Sometimes it’s the little things that can sway buyers from purchasing one home over another. New appliances, a beautiful garden or newly polished floors are features that stand out to buyers who’ve already seen dozens of other properties. In the end, an extra or two thrown in might be the clincher that closes the deal. Keep in mind that it’s hard to sell a home in a buyer’s market, especially if the homeowner is looking for a quick sale. Homeowners should reach out to a reliable real estate expert to learn more about making a property sale fast. 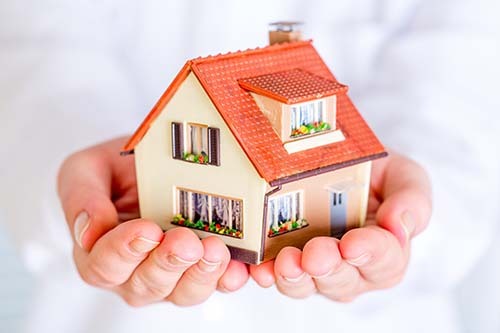 Finding a new home loan can seem challenging, but if you take the proper steps before you start applying for loans, you’ll have no difficulty finding a mortgage that works for you and a lender that would love to have you as a borrower. Shopping for a mortgage isn’t like shopping for a couch, and there’s a lot that goes into the process. 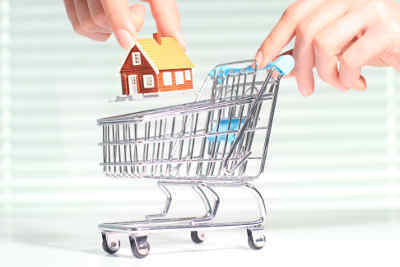 So how can you shop for your new home loan in a way that saves you time and gets you the best loan for your needs? Here’s what you need to know. A lot of homebuyers especially first-time buyers make the mistake of not doing their research and not asking enough questions. A fixed-rate mortgage isn’t right for every homebuyer. Neither is an adjustable-rate mortgage. If you plan to stay put in a home to raise a family, you might consider a 30-year loan. Conversely, if you’re moving in 10 years or less, an adjustable-rate mortgage, or ARM, could better suit you. It’s advised that you research loan types then prepare a list of questions to ask your mortgage agent to ensure you select the loan that’s best for you. It can be tempting to start looking for mortgages online and start seeing what kinds of rates and limits you can afford, but if you start your mortgage hunt with Internet window-shopping, you may end up sorely disappointed. A pre-qualification is a vital first step that can help you to find the mortgage that works best for you. With a pre-qualification, you’ll have a good idea of what you can reasonably afford to spend on a home, so you won’t waste time viewing homes that are outside of your price range. Once you’ve been pre-qualified and pre-approved, the next step is the approval process the part of the process where the lender you’ve chosen evaluates your application and decides whether or not to lend to you. One mistake that a lot of homebuyers make is allowing significant changes in their income to happen during the approval process. If you quit your job to start a business, or if you go down to part-time hours so you can spend more time with the kids, your lender will need to start the approval process over again with your new financial information in mind, so hold off on any big changes until after you’ve been approved. 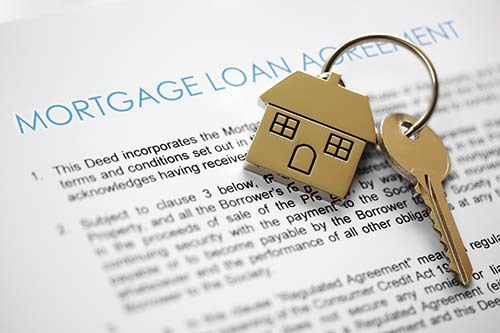 Finding a new home loan can seem like a challenge, but a qualified mortgage advisor can help. Contact your local mortgage professional to learn more. For many homebuyers who are new to the market, it can be very comforting to be on a fixed rate mortgage where fluctuating interest rates cannot have an impact on your monthly payments. While a variable rate mortgage can sometimes lead to significant savings at the end of the day, there are a few ways you can tell if your monthly payment is on the upswing. A marked increase in a home’s value is ideal for most homeowners who consider their home an important investment. However, the downside of an increase in the price of real estate is that your property taxes will probably be bumped up along with it. According to Josh Moffitt at Silverton Mortgage, “If your home value increases because of market conditions, taxes will follow, and it will cost more to insure the home.” In order to determine if a higher payment is on the horizon, you may want to take a look at the listings in your neighborhood. Most people hope that a re-assessment of the value of their home will lead to a bump in its price, but if your monthly mortgage payments were calculated at a specific time during the transaction, this bump may mean a higher monthly payment for you. If there was some overlap between the assessment and the property transfer, or other fees were included in your payment, your tax professional should be able to advise you on the best course of action you can take come tax time. 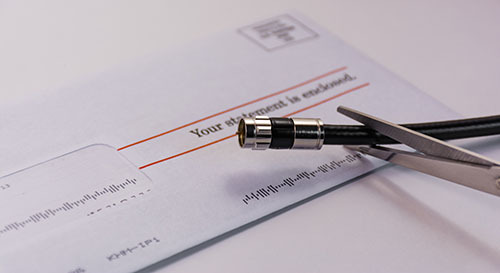 In the event that the homeowner’s insurance on your home is about to expire, there’s a possibility that you’ll be paying a bit more following renewal. Instead of leaving this to chance, ensure that your insurance company is communicating with you and keeping you abreast of changes. After all, while insurance is important to protect your investment, you have the option of looking into other insurance providers who may be able to give you a better rate. It can be hard to plan for the increase in rates that can go along with a variable rate mortgage, but if your insurance is up for renewal and the value of the homes in your area has increased, a higher monthly payment will likely follow. Contact your trusted mortgage professional for more information. Home builder confidence fell slightly in June to a reading of 59 according to the National Association of Home Builders Housing Market Index. Analysts had expected no change to June’s reading of 60. June components of the HMI were also lower. Builder confidence in current market conditions dropped by one point to 63; builder confidence in market conditions over the next six months fell three points to a reading of 66. The reading for foot traffic in new single-family developments dropped one point to 55. Readings over 50 indicate that more builders than fewer are confident about housing market conditions. Are Housing Markets Cooling Down? A statement released by NAHB said that June’s readings were consistent with an ongoing gradual housing recovery. In related news, real estate analysts are seeing similarities in today’s level of speculation to the pre-recession housing bubble that was fueled by speculation. 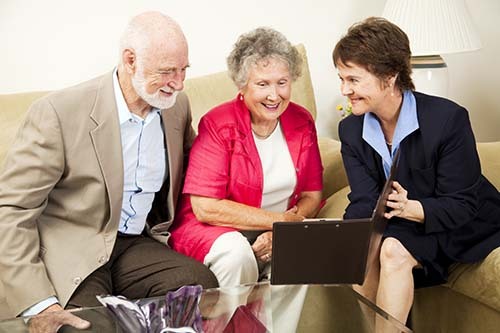 More “mom-and-pop” investors are entering the market instead of seasoned institutional investors, which suggests that institutional investor interest is slowing. In June, 2.50 percent of homes were purchased by institutional investors as compared to a peak of 9.80 percent in February 2013. Red flags suggesting that housing markets are cooling down appear consistent with June’s NAHB Housing Market Index. Too much speculation can create a housing bubble, which would burst when demand dries up due to overly inflated home prices and falling demand for homes. Slim supplies of available homes and rapidly rising home prices are obstacles for home buyers. Home builders continue to cite low supplies of suitable land and labor shortages as obstacles to home construction. In a report separate from the NAHB Housing Market Index, Fannie Mae economists said that they expect single-family housing starts to increase by 13 percent in 2016. Any increase in home building would help reduce the shortage of available homes. The willingness and ability of builders to produce more affordable homes is a key aspect of maintaining healthy housing markets. Strong competitions for homes and high home prices in major metro areas have made home ownership impossible for many would-be buyers. Short supplies of available homes are discouraging those who are prepared to buy but can’t find homes they want. Unless low supplies of homes and affordability concerns are resolved, overall market slow-downs are likely to occur at some point. 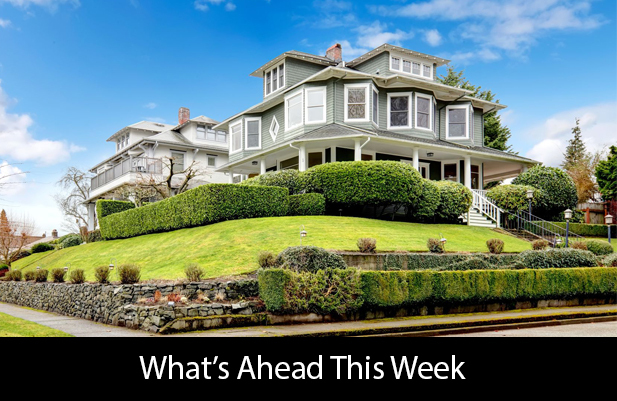 Indications that professional investors may be slowing their former pace of snapping up homes could suggest that hot housing markets are starting to cool off. You are currently browsing the KeithSargent's Blog blog archives for July, 2016.